Battisti WP et al. Good publication practice for communicating company-sponsored medical research: GPP3. Ann Intern Med 2015; 163:461-464. DeTora L et al. 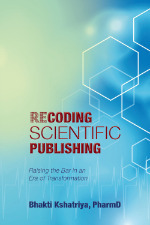 Publication planning: promoting an ethics of transparency & integrity in biomedical research. Int J Clin Pract 2015; 69:915-921.